Deville Dinerbar is unlike any diner you’ve been in: a lovechild of whimsical nostalgia and 21st century spirit. Pairing delightful spins on diner cuisine with a creative, fun-loving approach to cocktails and atmosphere, Deville Dinerbar becomes your favourite place to start your day and end your nights — whether you’re celebrating a memorable event, a “yes” from someone special, or just looking for the perfect mix of fun and excitement. Founded in 2011 in the heart of Montreal’s downtown, Deville Dinerbar pays homage with modern feeling to the great diners of yesterday. 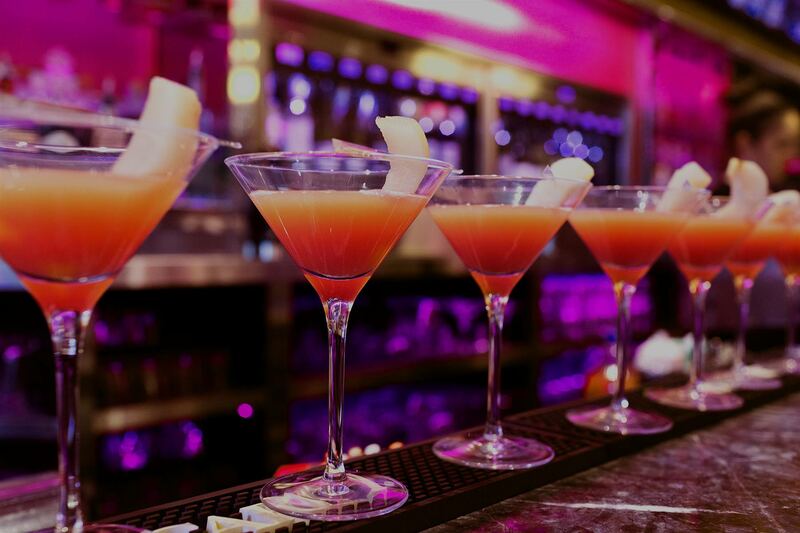 Get the party started at our massive bar, order yourself a House Cocktail or R-Rated Shake and let yourself experience magic in the making. You’re invited to feast on unique Deville specialties, like our “Bacon Weaved Meat Loaf”, our “Crispy Mac and Cheese Stuffed Wontons” or our signature steaks selected from 100% premium Canadian grass-fed beef. From lunch to late night and everything in between, Deville Dinerbar strikes the right note for both the casual and the refined looking to celebrate the little moments that make life big.